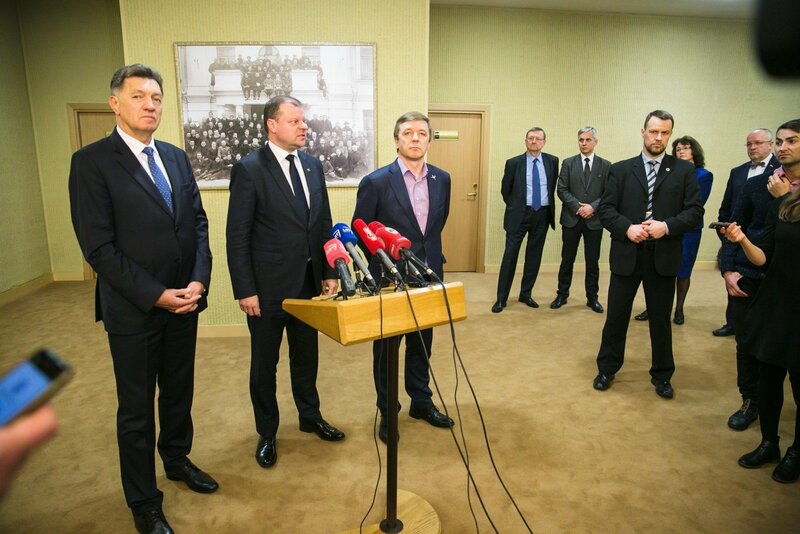 The government coalition of the Lithuanian Farmers and Greens Union (LFGU) and the Lithuanian Social Democratic Party (LSDP) continues its work and will seek to make their cooperation smoother, Prime Minister Saulius Skvernelis said after a meeting of the two parties' coordinating council on Monday evening. In the prime minister's words, the coalition partners agreed on support for the government's plans to streamline the management of state forests, but they will continue talks on the contents of the reform. "Our work continues. We discussed how we could cooperate more smoothly. I think we can state that the coalition continues it work and will make the necessary decisions," Skvernelis told reporters. Algirdas Butkevičius, the LSDP leader, said, "We support the forestry enterprise reform, but we need discussions on the contents. We will put forward our proposals and comments and we will sit down together and say clearly what we approve of." 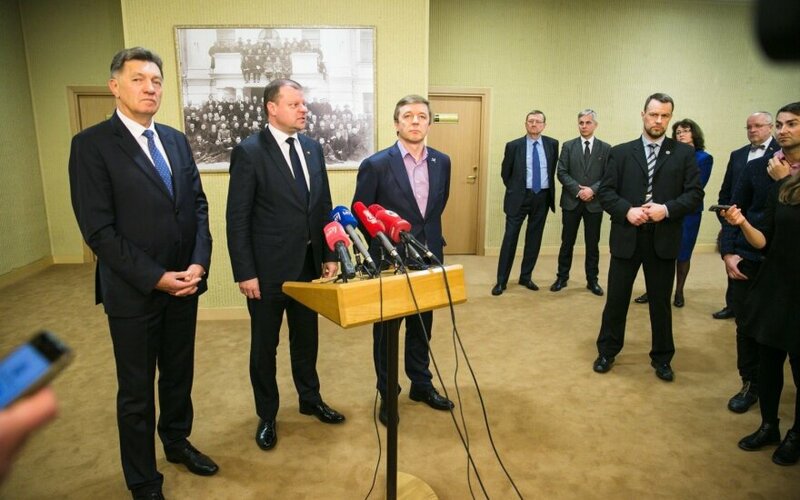 According to Skvernelis, it was also agreed on Monday that the Social Democrats would back all of the amendments to the new Labour Code that have been recently approved by the Tripartite Council, which brings together the government, employers and trade unions, and that no additional proposals and amendments would be discussed in the Seimas. The LFGU's political group has 56 votes in the parliament, not including Viktoras Pranckietis, the speaker of the Seimas (parliament), who is not a member of the group. The Social Democrats have 19 seats and the opposition Homeland Union–Lithuanian Christian Democrats has a 31-strong political group.